A nine hour seawatch at Pendeen today was not quite a classic but still well worth the effort. 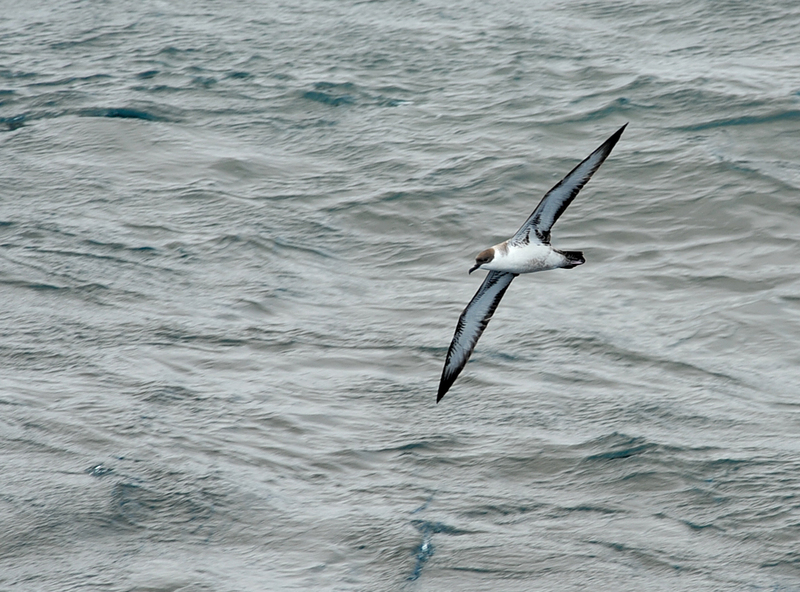 Three year ticks and a constant stream of shearwaters kept me happy. Highlights included a Red-necked Phalarope, two Leach's Petrels, two close Great Shearwaters and good numbers of Sooty Shearwaters. 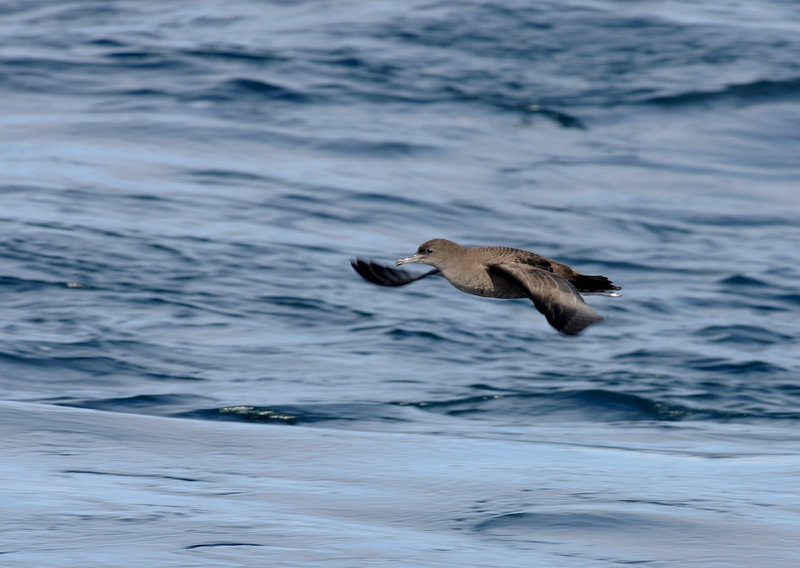 Twenty of us missed a Wilson's Petrel which was claimed by another group viewing from a different area. 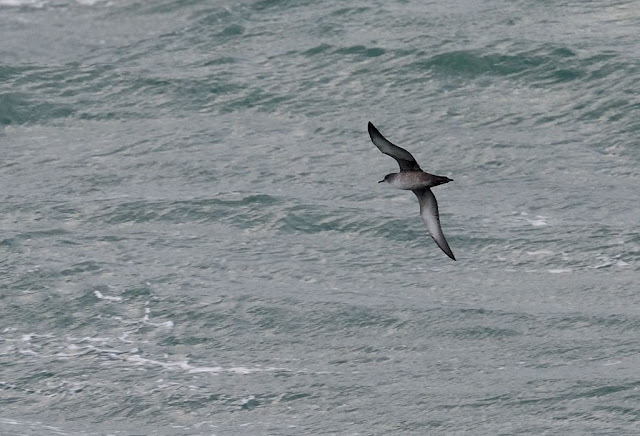 Total numbers from first light to 2.30pm are as follows: 68 Sooty Shearwater, three Great Shearwater, 16 Balearic Shearwater, one Red-necked Phalarope, one Grey Phalarope, two Leach's Petrel, ten Euro Stormy's, 21 Sandwich Tern, one Black Tern, three Arctic Tern, 30 comic terns, 42 Bonxie and 26 Arctic Skuas. A male Peregrine flew past and a Northern Wheatear was favouring the viewpoint area.